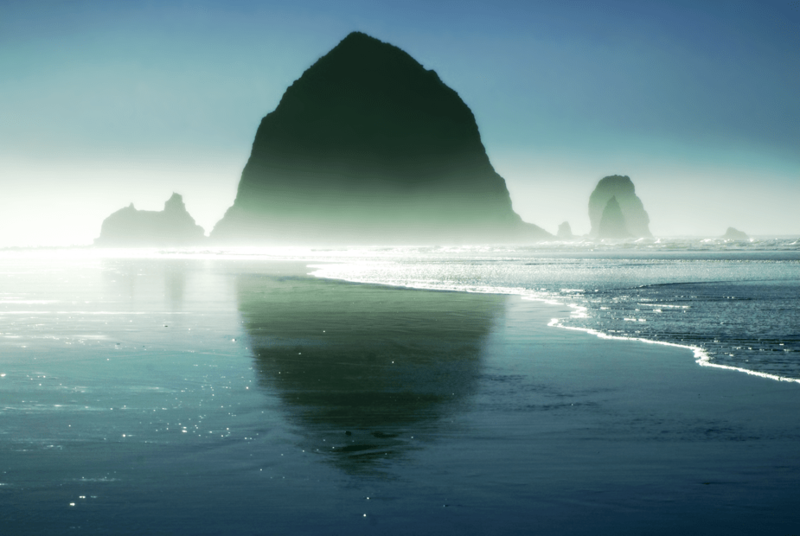 Cannon Beach is all about restoring balance . . . spirit, and thoughts about gratitude. 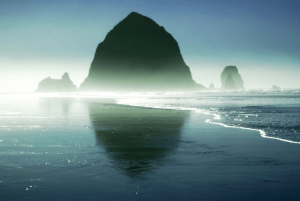 Haystack Rock is a 235-foot (72-meter) sea stack in Cannon Beach, Oregon. It is sometimes claimed locally to be the third-tallest such “intertidal” (meaning it can be reached by land) structure in the world, but there are no scientific references to support this. A popular tourist destination, the monolithic rock is adjacent to the beach and accessible by foot at low tide. The Haystack Rock tide pools are home to many intertidal animals, including starfish, sea anemone, crabs, chitons, limpets, and sea slugs. The rock is also a nesting site for many sea birds, including terns and puffins. 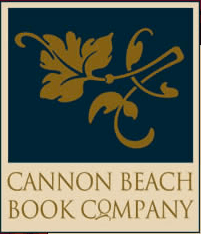 If you live anywhere near the Oregon Coast, fifty miles from Portland, please join me at one of my favorite bookstores, Cannon Beach Book Company, on March 30th from 2-4pm, for a signing of Sandcastle and Other Stories. I’ve been vacationing in Cannon Beach for almost fifteen years, getting to know the town, meeting fellow tennis players, writing away in one of the coffee shops, eating some of the best seafood, and walking the beach, which goes for miles, and is home of Haystack Rock. The town’s beach was shown at the beginning of The Goonies, and I thought the surfing beach in Twilight looked familiar as part of Ecola State Park. 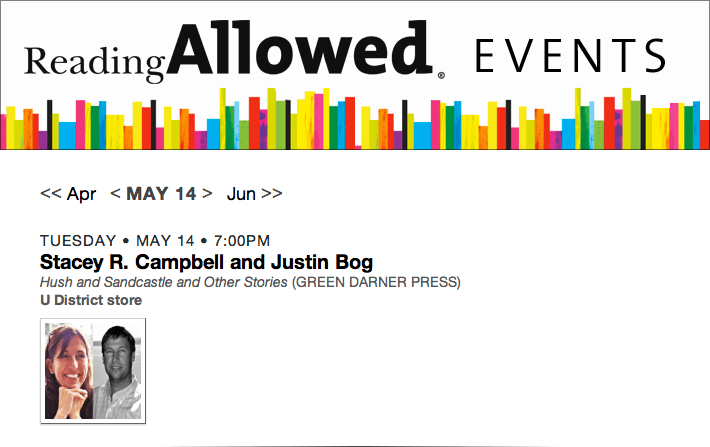 Well, in the writing life, some very significant author events are shaping up. Click on the event page online at cannonbeachbooks.com. Also check out the line-up of terrific authors who will Get Lit At The Beach! 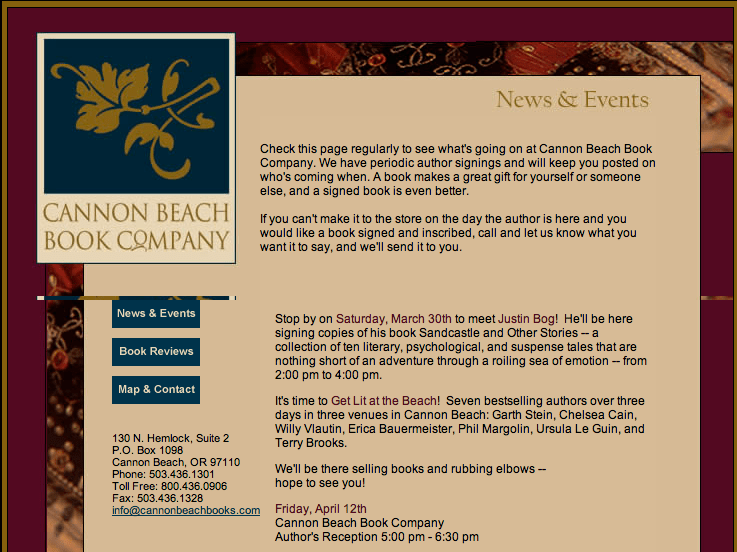 in April in Cannon Beach, including Terry Brooks, Garth Stein, Ursula Le Guin, Chelsea Cain, and Phil Margolin. I can’t wait to get back to the beach. I hope Brenda, the main character in the title story Sandcastle, is not there. Please join me. If you cannot make it, I will also be reading and signing Sandcastle and Other Stories in Anacortes at the Anacortes Public Library on June 19th, sponsored by Watermark Book Co., my local island’s incredible bookstore. After that, I will travel to Whidbey Island’s Wind and Tide Bookstore in Oak Harbor on April 28th between 2 and 4pm to sign books with Stacey R. Campbell, who wrote Hush, a terrific YA novel. There is also a book reading and signing event in the works at Fairhaven’s Village Books on May 31st. These dates are all jumbled up but please mark your calendars. The official Green Darner Press Seattle-area book launch for Stacey R. Campbell’s YA novel Hush (I highly recommend this light, breezy suspense novel about a lost princess) and Sandcastle and Other stories will take place at University Book Store, the largest independent bookstore in Washington State, on May 14th beginning at 7pm. Please join Stacey and I there, or at any of these other bookstore events. If you are in the Oregon or Washington area and would like to get a signed copy or just meet and talk about writing and the creation of dark stories, or if you simply want to ask after Zippy and Kipling, please mark these Author events’ dates in your calendar, and please share the news with your friends in the area. P.S. 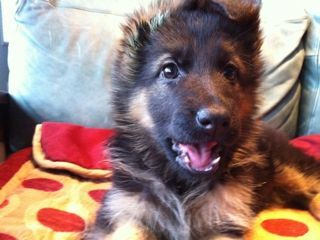 One last cute puppy shot of Kipling from way back in the day . . . she insisted. J. D. Salinger’s “A Perfect Day for Bananafish,” John Cheever’s “Goodbye, My Brother,” Doris Lessing’s “Through the Tunnel”: These and dozens of other beloved stories share the beach as their setting. In fact, it is remarkable how many of the finest writers have set stories and novels in whole or in part at the beach — and how often they use this locale to explore the great themes of love, loss, death, family, and redemption. 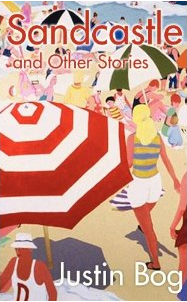 Beach brings together, for the first time, the very best of this literary tradition, including stories, novel excerpts, and narrative nonfiction. Love your take on what makes the perfect story set on a beach . . . you mention three great authors. Love John Cheever.